In conjunction with the exhibition A Japanese Constellation: Toyo Ito, SANAA, and Beyond, seven leading structural engineers will speak on Japanese structural design from 1950 through today. Additional panelists include Sigrid Adriaenssens of Princeton University; Caitlin Mueller of MIT; and Mutsuro Sasaki of SAP, Tokyo; with concluding remarks by Martino Stierli, The Philip Johnson Chief Curator of Architecture and Design, MoMA. Please use the Film entrance at The Ronald S. and Jo Carole Lauder Building, east of the main entrance on 53 Street. One World Observatory is generously offering complimentary tickets to 9/11 rescue and recovery workers who responded to the World Trade Center site from September 11, 2001 through May 28, 2002. Complimentary tickets are being administered by the 9/11 Tribute Center, a project of the September 11th Families Association. 9/11 first responders and recovery workers may register for two complimentary tickers; one week advance registration is required. Program available through May 2016. 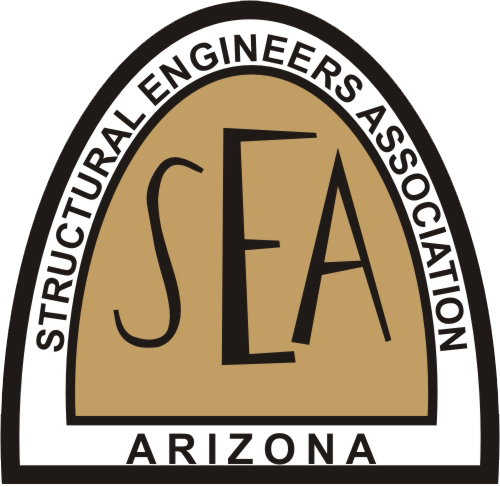 The complete slate of educational sessions will be posted on the NCSEA website soon. The Architectural Engineering Institute (AEI) and Worcester Polytechnic Institute are pleased to announce the 1st Biennial AEI Forum for 2016 "The IMPACT of the Integrated Building" scheduled for March 31 - April 1, 2016. The technical program will feature an impressive lineup of 9 industry expert keynote lecturers including SEI President, David Odeh, followed by interactive breakout sessions allowing for dynamic discussions and information exchange among Forum participants. Other Forum highlights include the AEI Student Design Competition, Professional Project Awards and more. Build your career with a team that . . .Designs, Constructs, and Modernizes. . . Safe, Attractive, Environmentally Sound and Cost-effective New York City Public Schools! The New York-Northeast Chapter of the Earthquake Engineering Research Institute (EERI) and the Deep Foundations Institute’s (DFI) Women in Deep Foundations Technical Committee are co-hosting a Reception and Panel Discussion on Professional Women in the World of Construction. Aspa Zerva, Professor at Drexel University, lead member of the NSF program ENHANCE for career of women in earthquake engineering, and Director of EERI-NYNE chapter. Urban Green Seminar - "Dual Market Transformation: Concrete & Recycled Glass"
Event Description: For years, building developers and their teams have searched for ways to optimize concrete mixes for performance, schedule, and reduced environmental impact. Simultaneously, the New York City metro area has been generating far more post-consumer glass than recyclers have a consistent end market use for. In an effort to address these dual challenges, pragmatic thought leaders brought key stakeholders from multiple industry sectors together to collaborate on a solution. Team members worked together over the course of 18 months to begin piloting use of locally recycled ground glass as an ingredient in high-performing concrete with reduced environmental impact. Come hear the Recycler, the Manufacturer, the Structural Engineer and the Building Owners Representative/Convener discuss what was involved in identifying this solution, whether the idea can be replicated in concrete mixes across the country, and what will it take for the larger cast-in-place concrete and glass recycling marketplaces to be transformed. CIB Morning Seminar - "Concrete Service Life More Than 100 Years"
Concrete can provide a service life of over 100 years when properly designed, batched and constructed. Many projects, in particular for the transportation infrastructure, require concrete to be designed and built for a service life of 100+ year. Estimating concrete service life, is a somewhat new requirement to the concrete industry, but of great importance. Our speakers will share their methodologies for estimating, designing and constructing concrete structures to provide a service life in excess of 100 years.